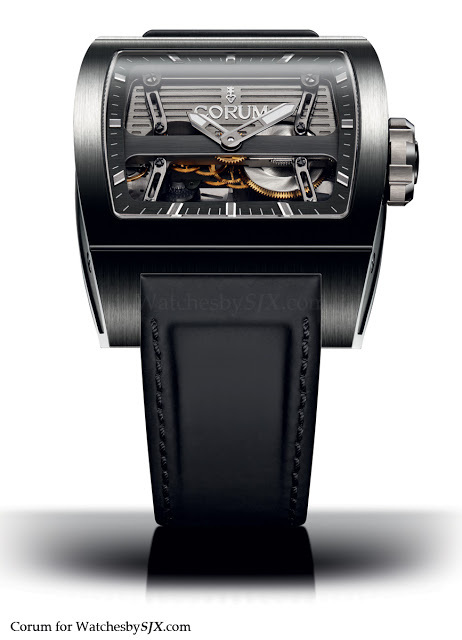 As a preview for its Baselworld 2013 collection Corum has unveiled the Ti Bridge Automatic. 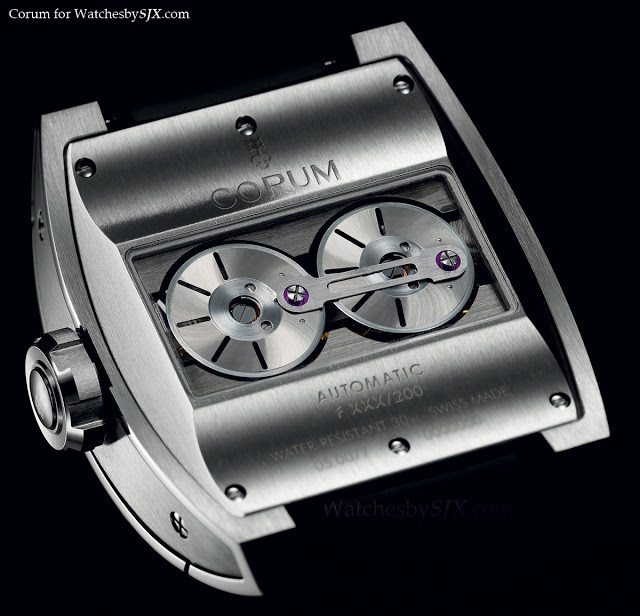 Like the rest of the Corum Golden Bridge line, this has a compact movement laid out in a line, barrel, gear train and escapement run from one end of the case to the other. The calibre is suspended in the case by four titanium beams, giving it the aesthetic of a piece of industrial engineering. In addition, it has an unusual automatic winding mechanism, with twin, connected rotors like steam locomotive wheels. Each of the tungsten rotors is covered by a steel disc, and they turn in sync thanks to the steel beam connecting them. They wind up the single barrel which sits at three o’clock on the dial side, giving the watch a respectable 72 hour power reserve.